It is good to see less garbage heaps in the streets these days - at least in the afternoons. Thanks to the week-long Kathmandu Cleaning Campaign launched by the Kathmandu Metropolitan City. The campaign had succeeded to mobilize people from different walks of life to clean the Kathmandu City and control haphazard throwing of solid waste on the streets. Though the campaign has generated awareness among the people, it could not come up with the solution to curb haphazard throwing of waste on the streets. It should have placed containers at key places where people can drop their household garbage in a specified time. Otherwise, people will be tempted to throw garbage at street corners or any dark corner. It should have also promoted garbage management at the household level, which will certainly reduce the stress of waste management for KMC. The KMC must act tough to slap fine on those who throw garbage wherever and whenever they feel like it. It should learn from the campaign launched by the traffic police to fine the drunken drivers/riders. Kathmandu: Public land encroachers on Sunday disrupted the squatter verification process in Thapathali. The first phase verification process could not take off after a rowdy group snatched record files from officials of the Department of Urban Development and Building Construction (DUDBC). However, police later recovered the files. The verification process aims to identify the real squatters for their alternative settlement. 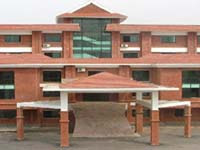 Kathmandu: Frequent foreign junkets of Kathmandu Metropolitan City officials is likely to cost development this year. Metropolis officials seem to be travel maniac as the actual foreign trip expenditure is likely to outnumber the budget allocated for abroad visits. The budget graph shows KMC officials could spend some Rs 600,000 alone on travelling abroad this year. Travel junkie officials are so busy with their tour packages that three foreign visits have already been finalised between April 22-May 25. Kathmandu: A senior journalist known for his simple campaigns to bring changes in the lives of ordinary Nepalis has teamed up with a Science academic to test a concept that they say has the potential to help resolve water scarcity. Senior journalist Bhairab Risal and academic Keshar Man Bajracharya of the National Academy of Science and Technology are preparing to test their ‘Pani Bhakari’ (water storage) concept at Anantalingeshwor, a hill in the northeast part of the Kathmandu Valley. Kathmandu: Kathmanduites have been repeatedly told not to keep on throwing waste on streets and expect metropolis sweepers to clean the every nook and cranny of the Valley. Those who refuse to comply can’t escape retribution as 45 persons have been booked for throwing garbage on footpaths, streets and open spaces. Kathmandu: The weeklong ‘Clean Kathmandu: Our Kathmandu Campaign 2068 ’ ended today with Prime Minister Baburam Bhattarai in sanitary gear cleaning up the Bagmati River near the Tilganga Eye Hospital for about half an hour in the morning. Prime Minister Bhattarai had launched the Kathmandu clean-up initiative, part of the National Volunteer Service Campaign, by sweeping the road in front of the CA building in Baneshwor on April 6 together with ministers, bureaucrats and high-level police officials. Kathmandu: The government is providing house rent to real landless squatters from April 17. Around 190 landless families residing on the Bagmati banks from Thapathali to Tekudovan will receive Rs. 15,000 each in lump sum for three months in the first phase. A meeting of the taskforce formed to execute the squatter eviction plan held with representatives from security forces on Tuesday took the decision to this effect. 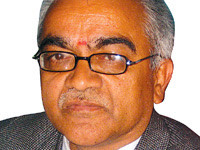 Kathmandu: The Commission for Investigation of Abuse of Authority has said it will summon Kathmandu Metropolitan City chief Kedar Bahadur Adhikari and seize all documents related to the procurement of materials used in the Kathmandu clean-up drive “National Volunteer Campaign”—the pet project of Prime Minister Baburam Bhattarai. Kathmandu: Prime Minister Baburam Bhattarai’s clean-up drive, launched on Sunday as part of his larger pet project “National Volunteer Campaign”, seems to have gathered more dirt in the Kathmandu Metropolitan City. KMC officials claimed there has been an embezzlement of Rs 1.2 million in the procurement of gloves and masks alone. Kathmandu: Prime Minister Baburam Bhattarai today launched a Kathmandu clean-up campaign, sweeping the streets near the Constituent Assembly in New Baneshwor with his wife Hisila Yami, ministers, secretaries and Inspector General of the Nepal Police for about five minutes. The campaign, which started at 7 am and lasted three hours, is part of the National Volunteer Service Campaign launched yesterday to press the youth into community services. Kathmandu: The government has unveiled a drive against litterlouts on the Singha Durbar premises. Anyone who drops litters or dumps rubbish on the Singha durbar premises will be fined Rs 100, while a person reporting such activities will be rewarded with Rs 50 from Friday onward. During a Singha durbar sanitation programme on Thursday, Chief Secretary Madhav Ghimire announced the penalty and the reward to encourage people to use dustbins for dumping wastes produced in the country’s main administrative centre. The rule will be mandatory for the government staff of all levels as well as for visitors. Kathmandu: The Department of Water Supply and Sewerage (DWSS) under the Ministry of Physical Planning and Works has launched a ‘total sanitation programme’ in 10 Open Defecation Free (ODF) VDCs — two VDCs each in five development regions — this year to establish healthy villages in the long run. Bipin Poudel, environment officer at the Environment Sanitation and Disaster Management Section at the department, said the programme comprising post-ODF activities is meant to make healthy living a way of life in new ODF VDCs. “Under the programme, we distribute blue and green stickers to houses of ODF VDCs,” said Poudel. Kathmandu: Prime Minister Baburam Bhattarai on Tuesday said the government is all set to establish the “Naya Nepal Nirman Kosh”, a fund to encourage voluntary public participation for nation-building. The government is planning to urge the general public to voluntarily contribute their one day’s income to the crusade, Bhattarai told a press conference organised to publicise the “Our Kathmandu, Clean Kathmandu” campaign that kicks off on Friday. Kathmandu: The century old pipelines laid in the Kathmandu Valley are going to be changed. According to Hari Dhakal, Executive Director, Kathmandu Valley Water Supply Management Board, the Project Implementation Directorate (PID) is going to change the old pipelines in the Kathmandu Valley considering the Melamchi Water Supply Project. Diktel: With all water sources going dry, residents of a handful of villages in Khotang do not even have water to wash their hands daily. Locals say all stone spouts, wells and taps have run out of water and the crisis this has triggered has taken its toll on residents of Gairikhola, Thulocahur, Fusresalla and Mangsiretole and Rajapani in the district. Okhaldhunga: Water scarcity has hit the district headquarters-based Okhaldhunga bazaar as the six-year old drinking water project remained precarious for lack of maintenance. According to reliable sources, the headquarters had been facing acute scarcity as water from Tareevir, Hyakule and Pakhale rivers are not preserved. Hyakule-Pakhale project was constructed with an investment of Rs 13,340,000 in 2007. 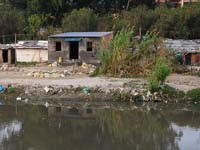 Bagmati River is a sacred river, but it has been heavily polluted since many decades. At present, the condition of river has been pitiable. Kathmandu is densely populated and that is the reason for Bagmati becoming polluted. 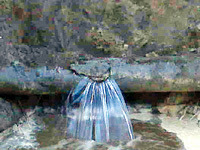 The drains and sewers directly pour into the river, and garbage is also dumped into the river, which have reduced the river to a drainage system for the city’s waste water. 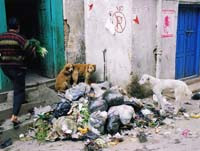 The clean-up campaign by the Kathmandu Municipality must be given continuity if the city is to be spruced up forever. There is a tendency to leave projects and programmes in this country mid-way once funds dry up or the short-term goals are met. I think the campaign has generated great awareness and there is much enthusiasm among the people. This could be relevant at a time when the government has been conducting clean up drive in the capital metropolis. People who have to walk along the Ring Road between Balaju Chowk and Banasthali Chowk are forced to bear the nauseating stench from the open industrial sewer and garbage heaps. This is not a problem of a day or week or months. A cleaning-up campaign has started in the capital with great fanfare and a lot of publicity but one doubts whether Kathmandu residents will really participate in the PM-led campaign to make it cleaner. It’s a sad thing that the city is littered with garbage; what is sadder is the city dwellers are least bothered about the poor state of this once beautiful place. This is in reference to the news reports “Underground water policy on cards” (THT, April3, Page2) and “Water scarcity hits Okhaldhunga”, (THT, April 3, Page 6). Despite being the second richest country in water resources, we are again still struggling to get a few liters of water every day. Day by day the population is increasing and the water sources are drying up. In the old books, Kathmandu is described as a charming city with more temples than houses. Nowadays, it is better described by rampant urbanisation, pollution and uncollected garbage. The burden of modernisation this old city has suffered is great. Its holy rivers have become open sewers full of commercial and private waste, for example, without eliciting dismayed opposition from the city governors and dwellers. The Nepali people have to live up with harsh jokes every day. When the talk comes to be about keeping our locality, village or city clean, no one can deny the fact it is something that is continuous, every day of the year without break. But, out here things move on a unique mode: there is the inauguration of a clean-up campaign and then it concludes. Prime Minister Dr. Baburam Bhattarai took up sweepers’ brooms and cleaned up the litters in front of the Constituent Assembly Building to kick start the week long National Volunteer Campaign-2068. His spouse Hisila Yami, Minister for Local Development Top Bahadur Rayamajhi, Chief Secretary Madhav Ghimire along with top government officials, officers of the Nepal Police and Nepal Army, students and general people participated in the clean-up drive. 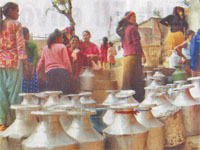 The shortage of drinking water has made life difficult for the residents of Kathmandu valley. The Kathmandu Upatyaka Khanepani Limited (KUKL) is capable of supplying drinking water to the tune of 94 million liters during the dry season and 131 million liters in the wet season per day. This is grossly inadequate for the demand for the water is stated to be 350 million liters of water per day. House Cleaning Or Show Off? Last week, the Prime Minister took to the street, not to protest against anything but to launch the week-long town cleaning programme. A media report the next day said that there was a lacklustre response from the residents to the programme. It is not as if the people of the Kathmandu city are adverse to such programmes. Prior to the launch, programmes were held in different localities in the city asking the people to participate in the campaign.